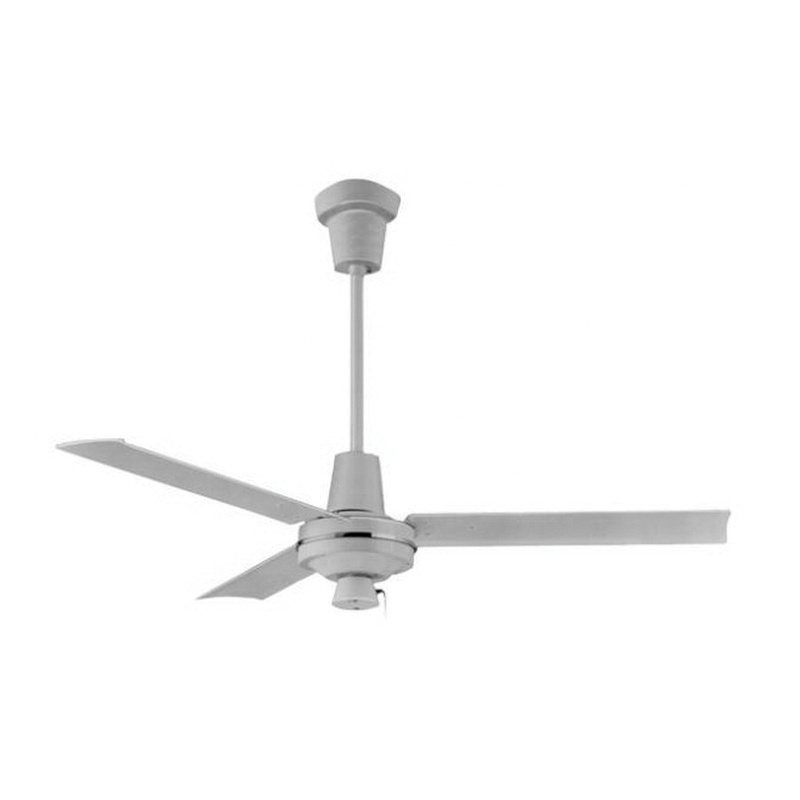 Q-Mark Specialty ceiling fan has three 56-Inch blades that effectively circulate air in large spaces. Fan has white finish housing for corrosion resistance. This 3-Speed fan with pull chain control, has flow rate of 25,500 cfm. It is suitable for use in food processing plants, wet factory locations, exposed shipping areas, outdoor restaurants and agricultural applications.